Seepage is a visual response to the geology of Iceland and the way astonishingly bright colours rise to the surface, are deposited on volcanic rocks and creep through cracks in the ground. 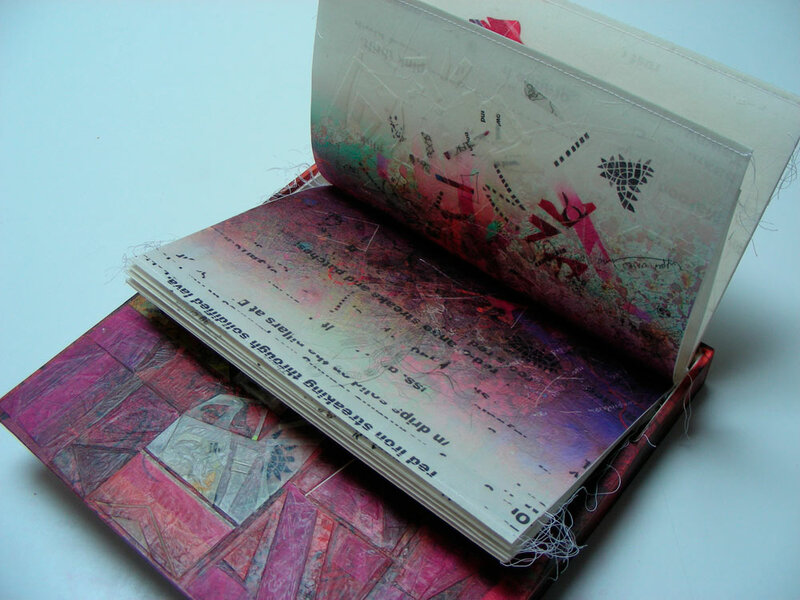 In the book, colours seep from the folds in the paper, while word fragments also seep out in a random chaotic way. Seepage evolved into three different versions. Box of wood with waxed collage over gesso. 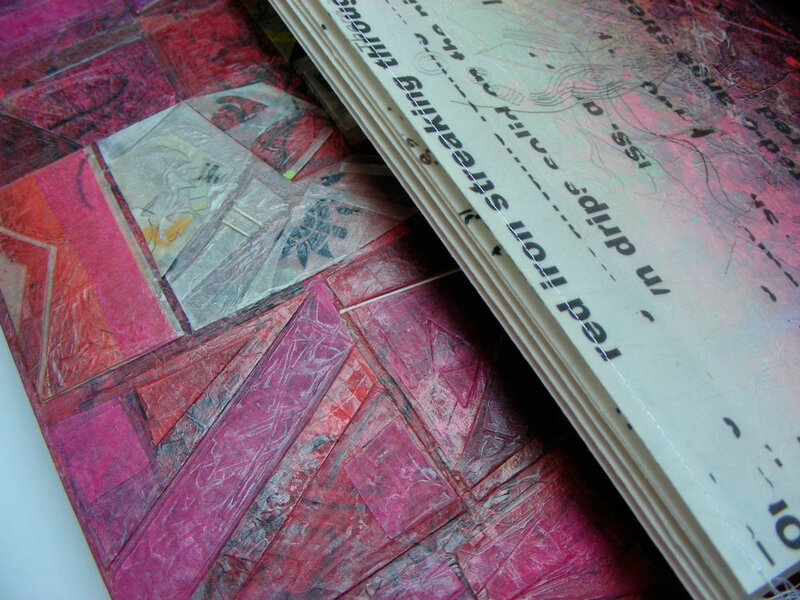 The pages have a double layer construction which keeps the 3D ‘book shape’ even when it is hung. 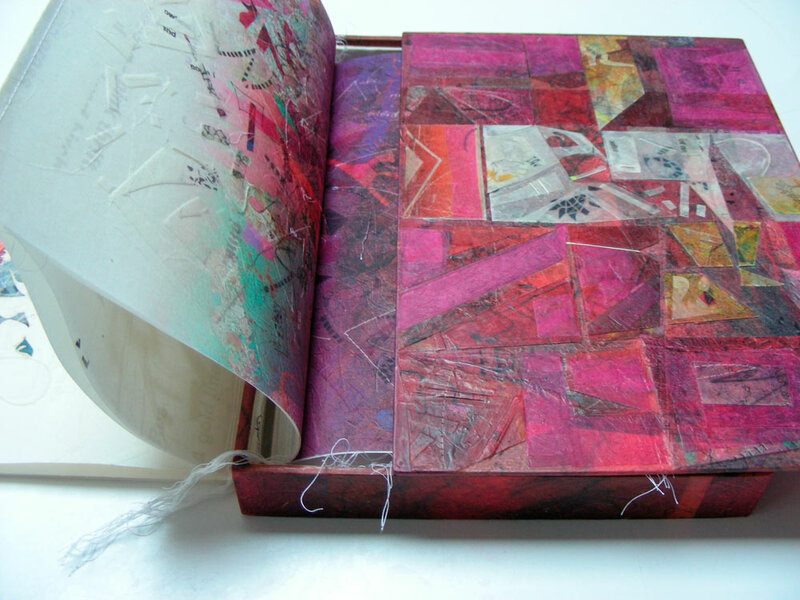 Embedded within the layers are fragments of scribbles, pattern, scraps of maps, diagrams, cut shapes and thread. Text, colour and pattern is sometimes hidden, sometimes revealed through interplay between translucent surface and the layers beneath.